Ryukyu Golden Kings General Manager Tatsuro Kimura (left) and new Head Coach Tsutomu Isa. Tsutomu Isa is perhaps the happiest man on Okinawa, although he’s the first to concede the excitement is matched by anxiety of having a tough road ahead as the new head coach for the highly successful Ryukyu Golden Kings. Word got out a week ago he was replacing Koto Tohyama, whose contract was not renewed after the Golden Kings couldn’t make it to the Basketball Japan League championship series despite amassing a 42-10 record. The 44-year-old Isa was formally unveiled as the new bench boss at a news conference. 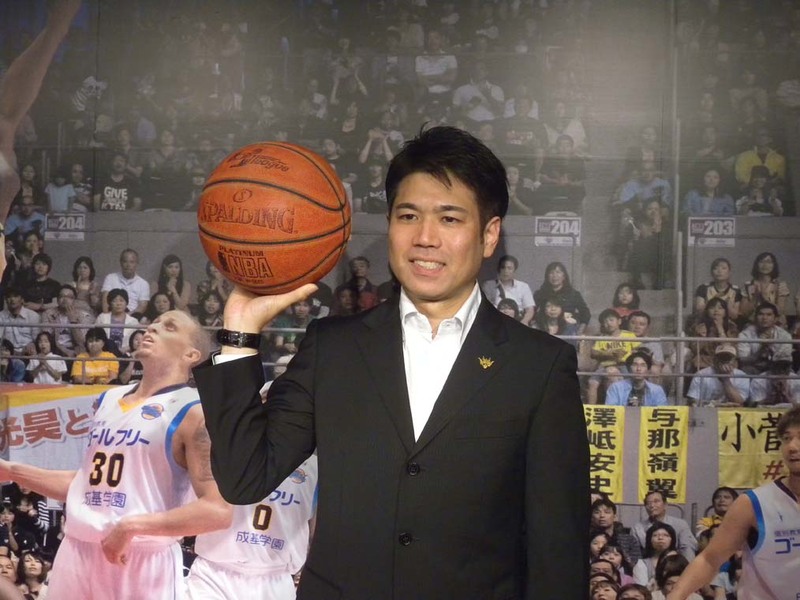 New Head Coach Tsutomu Isa says that he has confidence as he has worked past six years as the assistant coach, and has a lot of his own ideas as well. He told the media he’s really excited, but also feels a lot of pressure to perform, particularly in light of the way the current season ended. He doesn’t have any hesitation, though, saying he had been studying about coaching style from three former Kings head coaches, and they are all different in style. Isa says he will mix all types and his own, too. That will be the spark, he believes. Isa is sure his six years as an assistant coach will put him in good shape with fans, players and the front office. 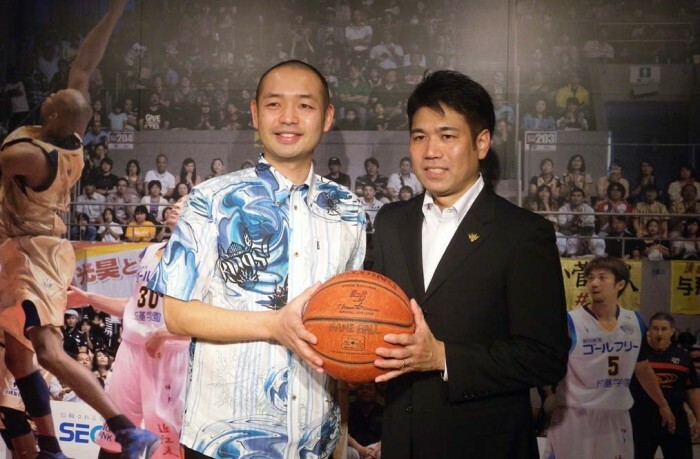 He is the first Okinawan head coach of Golden Kings and he says Okinawan fans hope an Okinawan head coach will lead the squad to the championship, but on the other hand, he knows fans will “keep watch me more strictly than former coaches, so I think. I try to do my best to live up to all Kings fans’ expectations.” Isa says he will add more passing style to the Kings this season, making things more active and more speedy, because he was the great pass and assist player when he was young, and he knows how important that is. He knows the Golden Kings team and players very well, saying sometimes it is good, but sometimes things could go astray because relations with players to coach and assistant coach are very different. Isa says he should keep a moderate distance from the players.